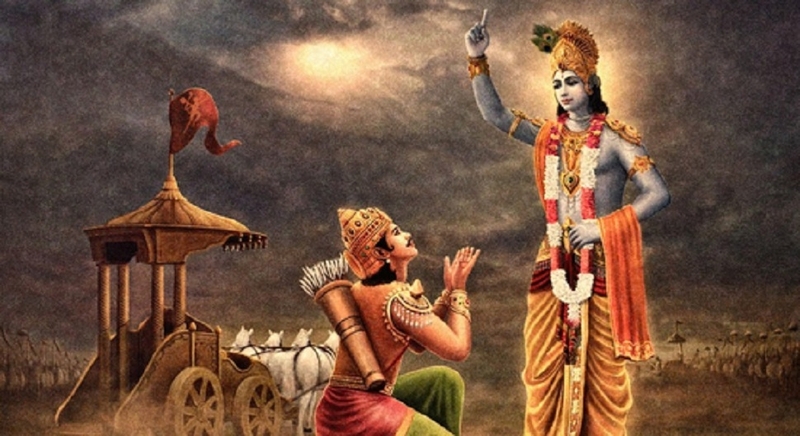 By RADHANATH SWAMI: A t the time of death Hiranayakashipu’s other sons could not do anything to help him but by Prahalad’s prayers he was liberated. Sentimental affection may givealittle superficial peace of mind, butit dies with the body.Real love gives person eternal nourishment and it lives forever. So yes, we should love, we should learn how to really love our parents, really love our children by prayers to Krishna as the unifying force between us. Affection is incomplete because our existence is three-fold. We have a body, we have a mind and we have a soul. We are the soul and this soul is in a cage within body and the mind. Now the Body has needs, mind has needs and soul has needs. Love meansto bring about an expression of service for the welfare of a person one loves. If any two or one is not love, it’s worldly affection and it’s actually quite useless. Just like for instance sometimes we see in society parents are very concerned with one of the two material ailments. A parent will give child all kinds of money and give child all kinds of good food and give child all kinds of nice clothes so all for the body but no encouragement, no feeling of affection for the mind. So ultimately the child is miserable just likeaspoiled child with all physical things and no mental support. We have seen in our country, parents get divorced and the child’s mind is split into total devastation, it’s crushed but yet mother gets a big alimony and he has all kinds of money, he has all kinds of fast cars, he has big-big house, but the mind is ripped apart because of insecurity of divorced parents. So, what kind of love is that? Mother and father are thinking that it doesn’t matter if we are divorced; we are giving him all this money and we are giving him all this education. Everything for body is there but because there is nothing for the mind, is that love? They are neglecting his need, it’s not complete. We also have a soul. In material life, even the best parents give all affection to the body. They work so hard to get money, to give a nice place, to give good education, they are very kind to the child, and they are very encouraging to the child. The body and the mind are served very nicely but what about the soul? The soul is starving. The soul is lonely. The soul can only be nourished by coming in unification with God. Unless the parents give that also, it’s not real love, it’s affection. It is material affection and it is incomplete and similarlyachild treats the parents. Child may give parents a place to stay and be nice to the parents. That’s for the body and the mind but unless the child is giving the parents a unity with God, it is incomplete. It is not love, it is affection. Real love is complete service in knowledge of what that person is. Affection based on that principle. Real love is seeded in God consciousness and that was the difference between Prahalad and his other brothers. Prahalad knew what his father needed. Even though his father tried to torture him and tried to kill him in so many ways, Prahalad simply prayed for his father’s eternal happiness and ultimately by Prahalad’s prayers hisfather achieved eternal happiness. So that is the purest, highest and truest sense of love. It is the only real love because love originates in God and flows through those who know God and submit themselves to God. And real love is eternal. It doesn’t end with bodies, either of the lover or beloved. Real love is exchange between the soul and other souls in knowledge of God. Material affection, we should be grateful and appreciative to anyone who is offering us that and we should also give others that to our capacity and we must also be striving for perfect love and striving to give perfect love to others. In this age of KaliYuga, the simple and wonderful means that God has given us to awaken that true, pure, unmotivated love is to chant Krishna’s holy name.